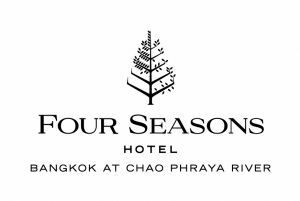 The Four Seasons Hotel and Private Residences Bangkok at Chao Phraya River is looking for a Health Club Manager. Candidates with passion for excellence, expertise in hospitality operations and proven leadership experience are invited to apply for a career with Four Seasons. As a member of Health Club Department , the Health Club Manager works across disciplines to deliver an exceptional experience. Responsible for the overall Health Club facility of the hotel that includes Gym, Fitness Pool, Relaxation Lounge and Locker facilities . Ensures quality member and guest experience through oversight of the service delivery for both Resident and Non - Resident Guests. Accountable for the financial performance of Fitness programs. Ensure active marketing and promotion of all aspects of sports programming through effective use of communication tools including The Fitness Club website, Weekly Watch, Sportsline, bulletin boards, face to face member and guest interaction, posters and flyers. Oversight of development of innovative sports and recreation programs to consistently exceed customer expectations and maximize revenue opportunities. Oversight of hiring, training and development of high quality employees.